As many of you are probably aware, the University of Wisconsin-Stevens Point requires students to live in the residence halls for the first two years of their college experience. The University makes some exceptions for students who plan on living with their parents and commuting to class within a 40 mile radius of Stevens Point. For students living in the residence halls, it’s exciting when you are able to live off campus with friends. Although costly, living in an apartment or house allows a different atmosphere to experience college. You can have the choice to have your own room, bathroom, shower and kitchen. It’s great to have a place for yourself to relax after attending classes, but it also has its challenges. 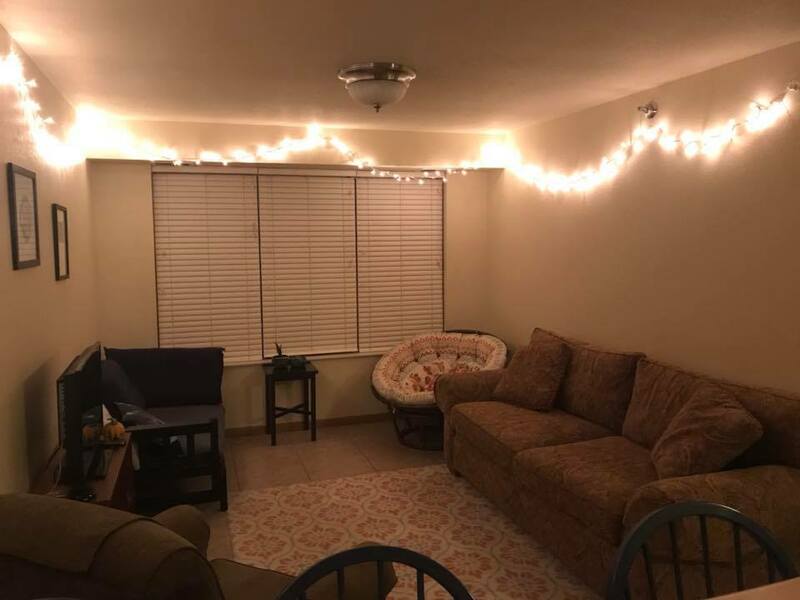 As a junior at UW-Stevens Point, this is my first year living in an apartment with friends. Although I enjoy living in an apartment, there are many different challenges that I wasn’t aware of when living in the residence halls. Be sure to do some research on the rental company, reviews from other students, and schedule a tour of the apartment or house before you decide to rent. Prepare for how much you’re willing to spend. Before apartment or house hunting, it’s important to talk with your future roommates about what you’re all willing to pay. Coming to a common consensus about your budget is important to ensure everyone is on the same page! Be sure to allow extra costs for internet, garbage disposal, electricity, gas and water, as some apartment complexes and houses don’t have these fees integrated into their monthly rent price. Start looking early. My current roommates and I signed a contract for an apartment off campus in the fall for the following fall semester! Property management companies in Stevens Point start looking for renters in the fall of each year, so start looking around this time to ensure that you have many options to choose from. Consider things like, if the washer/dryer is coin-operated or not, how many parking spots are allowed, and if there’s enough space for you and your roommates. I’m sharing an apartment with four other girls, so having one small bathroom wouldn’t work for our situation. Looking for an apartment with two bathrooms was a priority for us when apartment hunting. One of the main factors we considered was the proximity to campus. Being able to walk to class rather than having to drive was important for us, so many properties were eliminated for this reason. Come to an agreement with your roommates. Having a conversation about who will bring what furniture is important to discuss with your roommates. Make sure you plan ahead when moving your furniture and belongings from home to your new apartment or house. It’s also necessary to come up with a roommate agreement. Who will be in charge of cleaning the apartment? Will everyone lend a hand? Who will buy the cleaning supplies? What time is too late to have friends over? What time should ‘quiet hours’ begin? How will you manage a limited amount of space? Communicating these things ahead of time is important in eliminating unneeded stress and conflict. Allowing enough time to do research on locations, price and extra considerations is important when looking for an apartment or house to stay in for the school year. Looking early is essential in ensuring you have many options of rentals to choose from. Happy rental hunting!